Given the current limits in place for intervention on the parts of notaries and recorders, how can we, as property owners, protect ourselves and our assets? Tools are available, but they depend on a proactive approach and diligent follow-up. One simple preventive measure is signing up for fraud prevention notifications through the local recording office. While these programs are not available everywhere, their primary purpose is to alert owners when documents or transfers involving their enrolled property enter the public record. Regularly reviewing your own property records is another simple, inexpensive step. Land records for a majority of the US are available for viewing online, often for little or no charge. In addition, recording locations generally allow free in-person searches from terminals or books located in the office. Deeds.com recommends that owners check these records at least every six months. Consider purchasing title insurance. This product is intended to protect the interests of two primary groups: lenders and homeowners. A loan policy, which most lenders require when they issue a mortgage, safeguards the lender against any title issues that arise during the period of indebtedness. The annual cost of this policy decreases with the balance of the loan, and it is cancelled when the borrower repays the note. A separate owner's policy is purchased by the buyer for a one-time fee at the closing, and usually covers the amount of the real estate purchase. It protects against unexpected title problems, such as unknown heirs and errors and omissions in the chain of title or on recorded deeds. 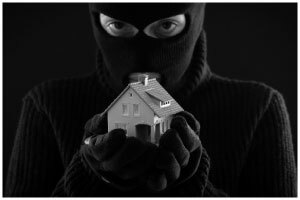 Recently, many owner's policies have been expanded to defend against forgery and other types of deed fraud. While title insurance is generally only available at the time of purchase, there may be other options. Contact a local title agency or the American Land Title Association for more information. Check your credit report at least once per year. Victims of deed forgery may also be susceptible to identity theft, and your credit report often shows the earliest signs that something is amiss. Visit annualcreditreport.com for a free copy of your report from each of the three primary credit reporting companies. Pay close attention to new or unusual activity, as well as unexpected negative information. Address any irregularities right away. Communicate with the entity holding your mortgage if you realize you will have trouble making the payments -- this is most effective when the account is still current. Many mortgage lenders offer programs to help, but the availability of assistance tends to decrease as the account becomes past due. This tactic can help preserve your credit and may prevent or delay foreclosure actions. Some mortgages include provisions that a transfer of ownership triggers immediate payment of balance due. Prevention is essential, but so is awareness. Take note of changes related to your property and investigate any suspicious activity immediately. Although circumstances are improving in some situations, it can be difficult to convince local law enforcement to investigate allegations of deed forgery and its associated crimes. As such, a quick response while the trail is still warm increases the likelihood of a positive outcome for the owner. As property owners, we must actively engage in protecting our interests. This takes time and effort, but failing to pay adequate attention to real estate assets could, at best, result in lengthy legal battles to restore formal ownership rights. A bad outcome might lead to permanent loss of property, ruined credit, and the waste of hundreds or thousands of dollars on fruitless attempts to resolve an issue that might well have been prevented.